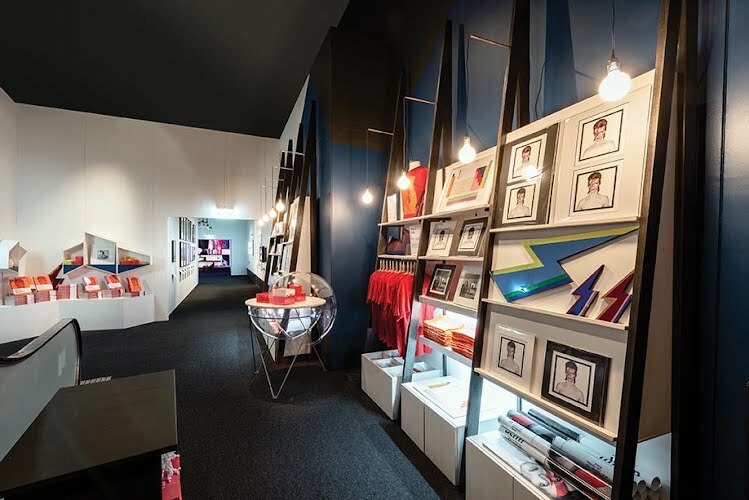 Retail interior design, build and fitout. 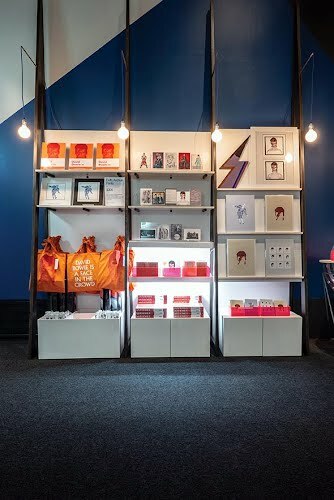 Moth was invited to design and produce the pop up shop for ‘David Bowie Is’, an exhibition exclusive to ACMI from London’s Victoria and Albert Museum. 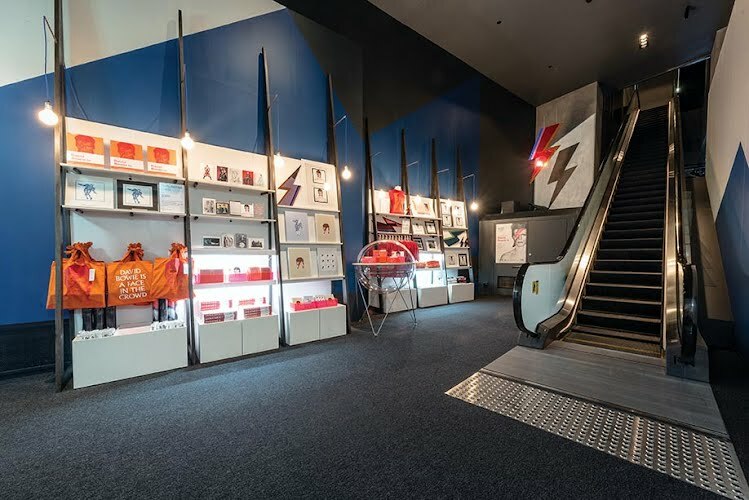 The pop up, whilst inspired by the signature Bowie lighting bolt was designed in a neutral pallete to be able to be reused by ACMI for furture gift shops. 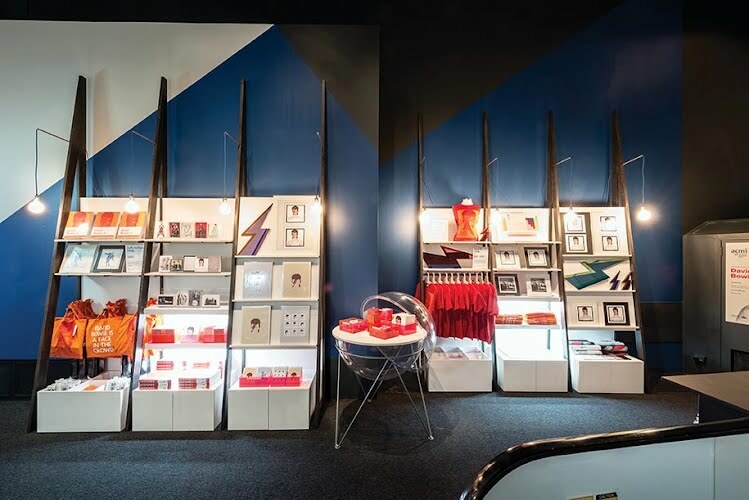 Merchandise can be displayed in modular white wall shelves and dowel pegboard. 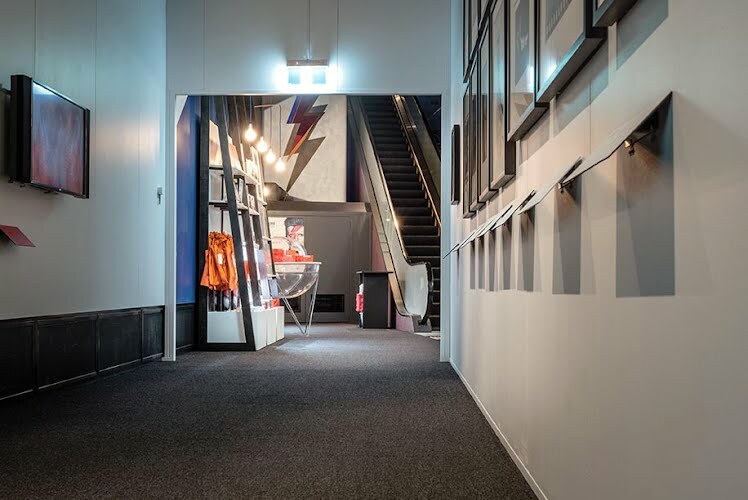 The framework was supported by large 3.8m black triangular braces which make use of the vast height in the galleries at ACMI and ensure that the shop is not dwarfed in the space. Under-shelf lighting was utilised at lower levels while integrated pendant lighting hangs down from the tall braces to give ambient light. The walls were painted in dynamic angles of deep blue, white and black. 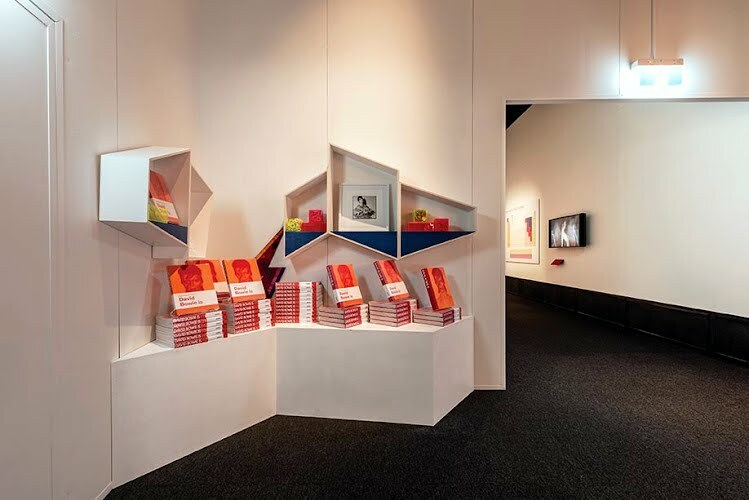 Open wall shelves and a corner plinth continue the language of dynamic angles. 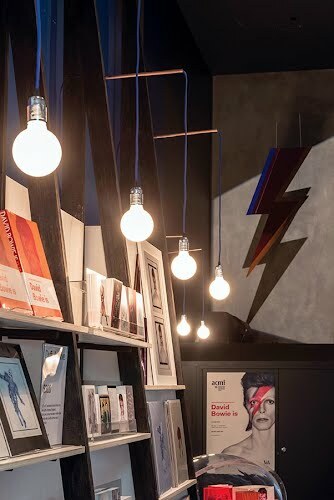 Elements such as the Bride and Wolf custom Bowie lightning bolts and asteroid ball display pods complete the space with the signature David Bowie quirkiness.